We are doing things different. At Oculus, safety means more than just a hard hat and coveralls; it means doing it right, every single time. All operators undergo a rigorous training program that includes a blend of in house and external training and courses. 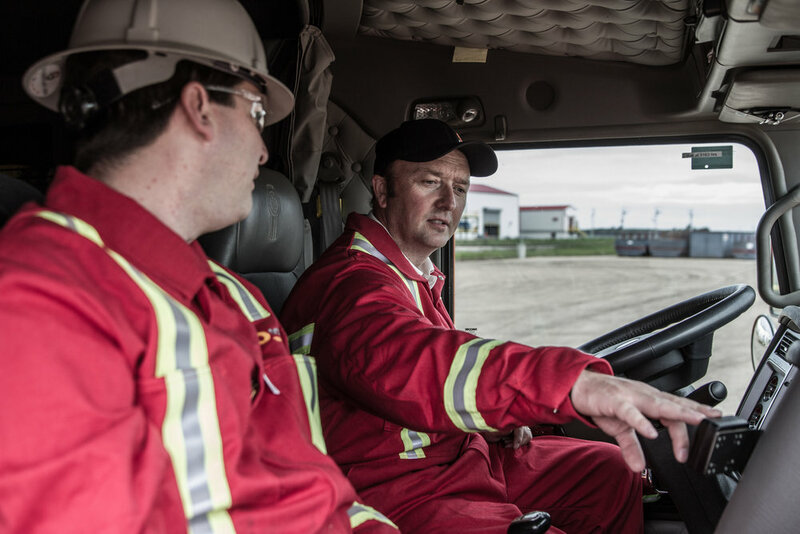 Once they have successfully completed all components they are matched up with a trained driver evaluator for further on the job training and mentorship. This relationship ensures our new operators have the tools and support they need as they transition into the field. Our maintenance programs go above industry standard, which means our units are seen by highly trained mechanics regularly, ensuring they are mechanically sound and safe to be on the road. Oculus boasts the newest fleet of Peterbilt and Kenworth's in the industry, with no unit more than 5 years old. We are committed to running the most efficient fleet in the oilfield and are constantly seeking ways to minimize our environmental footprint.